How are you spending Spring Break in 2017? Why not experience the many sides of Puerto Vallarta. Discover a destination with relaxing beaches, world class restaurants, and the latest in ecotourism and extreme adventures, all within an international setting well known for its charm and hospitality. 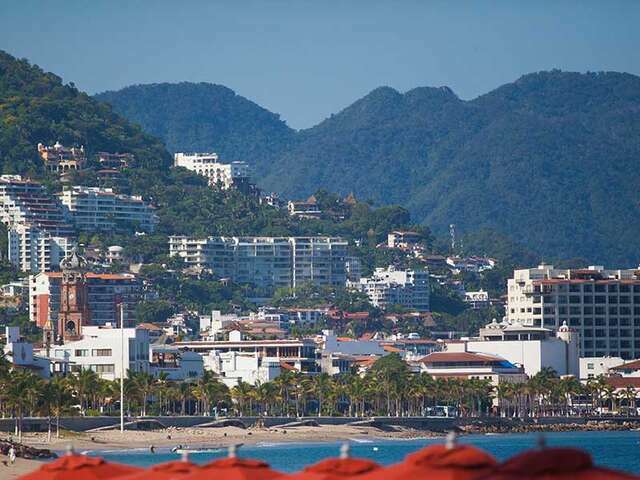 Puerto Vallarta is surrounded by mountains, rivers, beaches and the emerald green waves of the Pacific Ocean. Stroll along the remodeled Malecon (boardwalk) in the historic center along the edge of the sea, where you can enjoy numerous cafes, nightclubs, and outdoor sculptures and admire spectacular sunsets. Spend the day at Los Muertos Beach and see its new pier. Find a favorite restaurant in the Romantic Zone. Cross a swinging bridge to get to the Cuale River Island to buy something at one of the many stalls there. Go up to the Matamoros Lighthouse for a spectacular view of the 7th largest bay in the world. Discover one of the most exceptional biodiverse places in Latin America. Explore the beautiful lush tropical jungle which covers the mountains, and is a refuge for hundreds of species of birds, orchids and abundant wild fauna such as the ocelot, the badger, the jaguar and the iguana. Set sail on a tour and watch how humpback whales breach out of the water, observe dolphins at play or go deep sea fishing for marlin, snapper, sail fish, tuna and sea bass. Click here for the Hot Deals to Puerto Vallarta for Spring Break 2017!